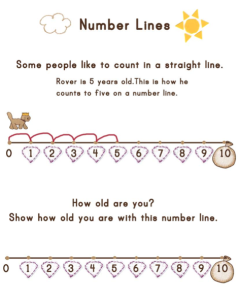 Number lines can be a very helpful visual tool. A gentle, simple introduction to them helps children become familiar in a non-confronting or complicated way and creates competence. 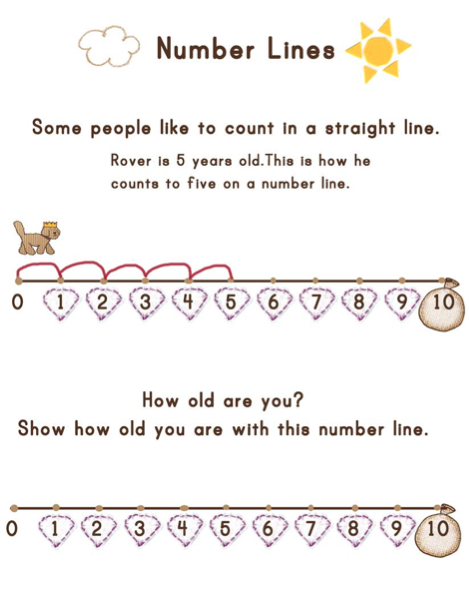 This little exercise is how I make the introduction. Everyone under the age of 10 can’t wait to tell you how old they are! (After 40, the novelty wears off! 🙂 ) Enjoy!